Lisa Schwartz and Steven Woloshin have earned their stripes working on communication of health information to patients, in particular, clear information about medications. They just presented their work at the National Academy of Science’s Sackler Colloquium on Science Communication (May 21 and 22, 2012). As befits communications experts (they are also MDs), their presentation was crystal clear, and fascinating. The presentation was taped, and video is available at the NAS. Their presentation illustrated the challenges in condensing complex information, but showed that it can be done. However, we need to commit to clarity and transparency. 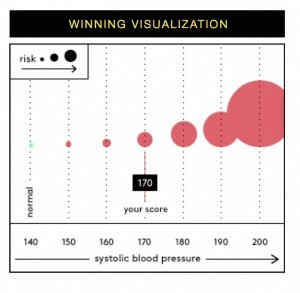 The New York Times (February 10, 2011) covered the report of a randomized clinical trial in Annals of Internal Medicine suggesting that a storytelling intervention produced substantial and significant improvements in blood pressure in African-Americans with uncontrolled hypertension. The intervention consisted of 3 DVDs containing patient stories, and blood pressure measurements were taken at 3, 6 and 9 months. The Great Ormond Street Hospital in England runs a website, Children First for Health. It has separate sections for Juniors (age 4 to 6), Kids (7 to 11) and Teens (12 to 18), as well as a section for parents. The Body Tour lets kids click on a body part or bone and learn more about it.